Looking for a Used JX35 in your area? CarGurus has 410 nationwide JX35 listings starting at $6,990. Making its debut for 2013 will be the JX35 from Infiniti, a 7-passenger luxury crossover SUV. The JX35 claims to offer true 3-row utility and numerous Infiniti premium features. Offered in a single Base trim that can be configured with front-wheel drive or equipped with Infiniti’s intelligent all-wheel drive (AWD), the 2013 Infiniti JX35 runs on regular gas and comes with a standard 265-hp, 3.5-liter 32-valve DOHC V6 engine mated to a sport-tuned continuously variable transmission (CVT) that attains 248 lb-ft of torque. According to the EPA, the JX35 achieves 18 mpg city/23 highway. For those who are interested, the JX35 has a towing capacity of 3,500 pounds when properly equipped. Standard features found on the 2013 Infiniti JX35 include remote keyless entry and push-button start, HID bi-functional xenon headlights, a power-sliding glass moonroof, power rear liftgate, heated and power-folding exterior mirrors and a drive-mode selector that allows drivers to choose Standard, Eco, Sport, or Snow mode, each of which adjusts throttle response and transmission shift points. The JX35 is equipped with 18-inch 5-spoke aluminum alloy wheels paired with all-season tires. The interior of the 2013 Infiniti JX35 comes from the factory with leather seating surfaces, a tri-zone automatic temperature control system, 8-way heated power driver’s seat, 6-way heated power front passenger seat, a leather-wrapped steering wheel and shift knob, a 6-speaker audio system with AM/FM/CD and MP3 playback capability, and a Bluetooth hands-free phone system. Equipped with 4-wheel, 4-channel ventilated disc brakes with an antilock braking system, the 2013 Infiniti JX35 also has numerous other standard safety and security features. To begin with, the JX35 has the Infiniti advanced airbag system, which has dual-stage front supplemental airbags, driver and front-passenger seat-mounted side-impact airbags and roof-mounted curtain side-impact supplemental airbags with a rollover sensor. In addition to ABS, the brakes are also equipped with electronic brakeforce distribution and brake assist. The JX35 also comes standard with a traction control system, vehicle dynamic control system, LED taillights, a tire pressure monitoring system, engine immobilizer, security alarm and rear-view monitor. Numerous packages are available from Infiniti to make the 2013 JX35 even more luxurious, including the Premium package, which adds hard-drive navigation, an 8-inch color touchscreen display, a Bose 13-speaker premium audio system and a driver’s seat lumbar support. Other packages available include the Theater package, which adds dual 7-inch color monitors for multimedia video playback; the Driver Assistance package, which adds remote engine start, a heated steering wheel and a blind-spot warning system; and a Deluxe Touring package, which features 20-inch split 5-spoke aluminum alloy wheels with all-season tires, climate-controlled front seats and heated second-row seats. The 2013 Infiniti JX35 enters an already crowded luxury crossover market, going up against the likes of the Acura MDX, Audi Q7 and Volvo XC90. With a price point that is comparable, it’s going to be the appointments and functionality of the JX35 that will set it apart from its competitors. With Infiniti’s reputation, the JX35 should be able to hold up well for years to come. What's your take on the 2013 INFINITI JX35? TheHorror Since when did Infiniti have a reputation for prestige or reliability? Infiniti sells fewer cars each year than nearly every other premium brand, and it's cars depreciate terrifyingly quickly. 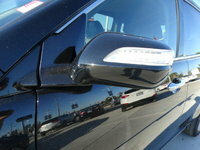 Users ranked 2013 INFINITI JX35 against other cars which they drove/owned. Each ranking was based on 9 categories. Here is the summary of top rankings. 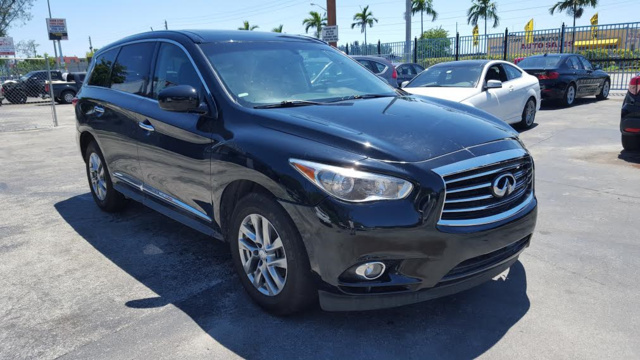 Have you driven a 2013 INFINITI JX35? 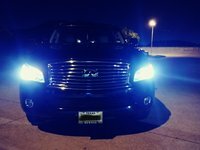 Does anyone have an opinion on the 2013 Infiniti jx35 SUV’s? 2013 Is when they stopped making them. Problem with radio and climate control. The buttons on the center consul we’re not working.